The Environmental Protection Authority has approved an application by Trans-Tasman Resources to progress with sea bed mining off the South Taranaki Bight. 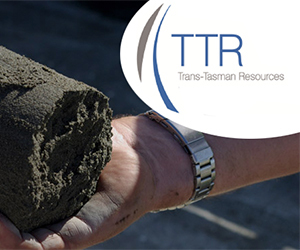 The decision gives Trans-Tasman Resources (TTR) the go-ahead to mine 50 million tonnes of material from a 66 square kilometre area off Patea every year for up to 35 years in order to extract iron ore. The Environmental Protection Authority (EPA)’s Decision-Making Committee arrived at their decision following an extensive inquiry that involved hearings in Wellington and New Plymouth. The four-member panel was divided over TTR’s application. The Committee’s chair Alick Shaw, a certified Resource Management Act (RMA) decision-maker who has acted as an independent hearings commissioner on resource management applications, used his casting vote to deliver a favourable outcome for TTR. Kiwis Against Seabed Mining, the main submitter opposing the application, said they were “stunned” by EPA’s decision and intend to appeal it. There is a 15-day window for appeals to be lodged against the decision. According to a report by NBR, TTR issued new shares on the eve of the ruling, increasing the company’s total shares by 9.5%. Of the 14,874 shares issued, TTR’s Executive Chair Allan Eggars took up 13, 375.